Anita H. Reed, Ph.D, LCSW, is a licensed clinical social worker and therapist who specialize in the treatment of adolescents, adults, and families. She has more than 23 years of experience serving at-risk youth and families as a direct service provider and also as a developer and analyst of programs and policy. She worked for Arlington County Department of Human Services for 14 years as a program manager and supervisor of child welfare staff. Her experiences with the Department spanned the continuum of services from prevention to foster care. For the past 9 years, she has worked as a mental health therapist for Arlington County Public Schools. She has also been an adjunct professor at Catholic University’s National School of Social Services (NCSSS) for 5 years, with a specific focus on child welfare policy. 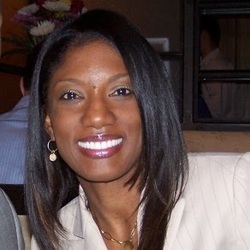 Dr. Reed graduated from Vassar College with a B.A in Sociology, received her Masters in Social Work from Columbia University, and completed her doctoral studies in Social Work at the National Catholic School of Social Services at Catholic University.